Whisk together in a 5- to 6-quart slow cooker 3 tbsp of the vinegar, chicken broth, oregano, brown sugar and, ¼ tsp each salt and pepper . Add and stir capers, garlic, prunes, olives and mix well to combine. 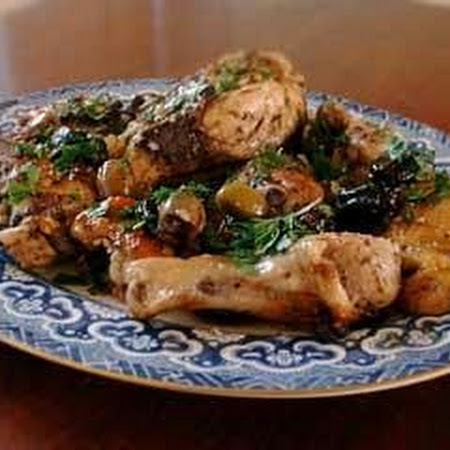 Add chicken, turn to coat in the sauce and then snuggle it among the prunes and olives. Cook covered on low for 5 – 6 hours or until the meat is cooked through and tender. Softly, stir in parsley and the remaining 1 tablespoon of vinegar.